The cook, Francois, is fantastic. So are the maids and night guards. The villa is really a great place to have some private relaxing days on Nosy Be. The house is equipped with two bedrooms (both with AC) with separated bathrooms and a huge living area. Every room is elegantly furnished and feels very comfortable. The staff, obviously consisting of a housemaid, a private cook, a gardener and two security guys during the night, speaks French (no English) and all were really friendly and helpful. In addition to the included breakfast, Francois the cook offered to prepare delicious lunch and dinner (each 35.000 Ariary per person). Stella, the housemaid is the good soul of the villa. She keeps everything properly clean and offers laundry service. The villa is located 15 min drive time north from Ambatoloaka. Tuktuks were arranged from the staff and costed 30.000-40.000 Ariary one way. Very nice house. Perfectly maintained. Very good kitchen for a very reasonable price. Thanks to the cook! What can I say - Villa Sakina was much more than we expected. Roxanne met us at the villa and Francois prepared a fresh juice to welcome us. The villa is even more beautiful than in the photos and the sunset views are just stunning. Francois is an incredibly talented and professional chef - we wanted to take him home with us! Stella is extremely professional, helpful, and knows the house inside out (including how to get the electricity back on in a storm!) We really couldn’t be happier with our stay and we look forward to going back. Thank you! Prestations cuisine ménage jardin parfaites. Très belle maison. Pas de problème d'équipement. La plage devant n'est pas du tout aménagée mais la vue reste magnifique. Très belle villa, personnel accueillant et très agréable. Helt fantastiskt boende, väldigt hjälpsam personal med utmärk mat. Väldigt hjälpsamma med att boka olika aktiviteter ifrån ägaren till väldigt bra priser. (Dags turer till öar runt 30 € med mat inkluderat per person) Vi åt på boendet varje dag och är enorma portioner och helt faktiskt gott. Internet, ström osv fungerade helt utmärkt enbart få korta strömavbrott (men det inträffar på hela ön) Helt underbart. Perfekt. Även möjligt att nå ett fantastiskt rev ute i havet utanför huset, dock är det lite svårt att nå. Det måste vara riktigt lågvatten sen simmar man rakt ut, förbi sjögräset så kommer det en linje med koraller/fint djur liv som går längsmed stranden. Luxusunterkunft mit eigenen Koch und Putzfrau. Eigener Garten mit Whirlpool am Strand. Großer eigener Wohnbereich. Sonnenuntergang von der eigenen Terasse zu genießen. 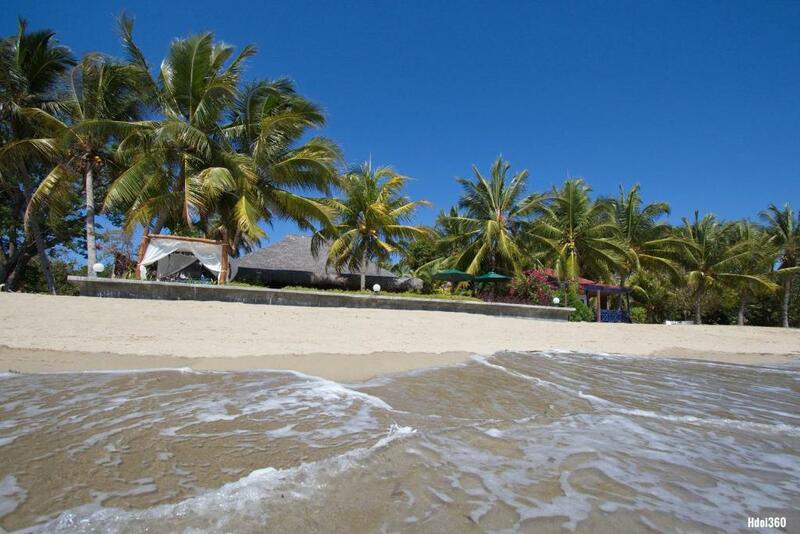 Lock in a great price for Luxury Sakina Villa - Beachfront – rated 8.9 by recent guests! Luxury Sakina Villa - Beachfront This rating is a reflection of how the property compares to the industry standard when it comes to price, facilities and services available. It's based on a self-evaluation by the property. Use this rating to help choose your stay! 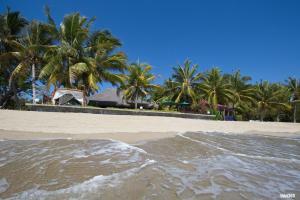 Luxury Sakina Villa is a self-catering accommodations located in Nosy-Be. WiFi access is available. Accommodations will provide you with a TV, air conditioning and a terrace. There is a full kitchen with a dishwasher and a microwave. Featuring a shower, private bathrooms also come with a bath or shower. You can enjoy sea view and garden view. At Sakina Villa you will find an airport shuttle, a garden and barbecue facilities. Other facilities like a shared lounge, an ironing service and laundry facilities are offered. The property offers free parking. 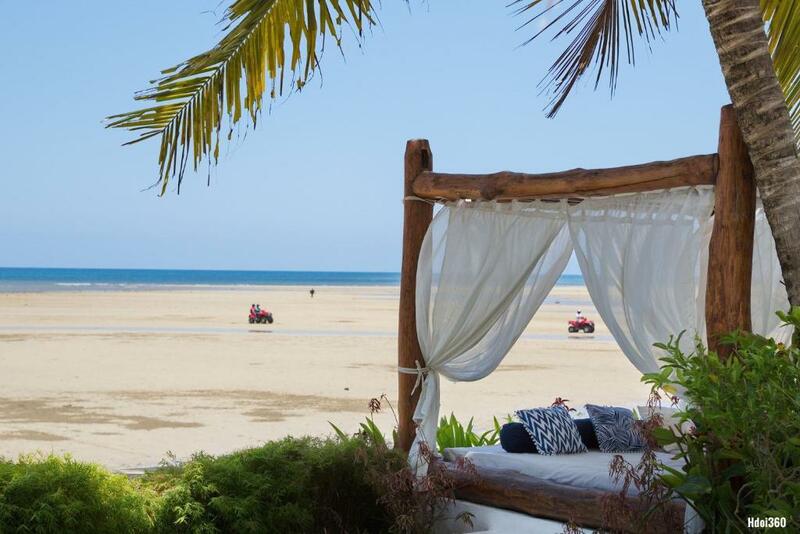 When would you like to stay at Luxury Sakina Villa - Beachfront? This villa has a kitchenware, toaster and sea view. La situation à Ampasikely, en bord de mer, - La villa aménagée avec goût et de grand confort - Un rapport qualité / prix très intéressant - Les services annexes pouvant être proposés : Un chef à domicile : un cuisinier qui vous prépare les plats comme au restaurant, femme de ménage, gardien de jour et nuit - La configuration de la villa, de 1 à 3 chambres et qui s'adaptent parfaitement aux couples, aux familles, aux groupes d'amis et couples d'amis - Située dans un quartier calme avec place de parking (ou garage) pour votre voiture de location - La possibilité de vivre des vacances en toute liberté et autonomie sans aucune contrainte ! Ampasikely est un petit villa de pêcheur, très calme . La" VIlla SAKINA" à proximité des lieux les plus animés de l'île Nosy be à 1 km du golf , à 3 km des hôtels / restaurants : Palm beach resort .......Ambatoloaka. Commerces et marché au poisson à 1 km. Les centres commerciaux sont à 4 km. House Rules Luxury Sakina Villa - Beachfront takes special requests – add in the next step! Please note that the entire villa is at your private disposal for the duration of your reservation, regardless of occupancy. 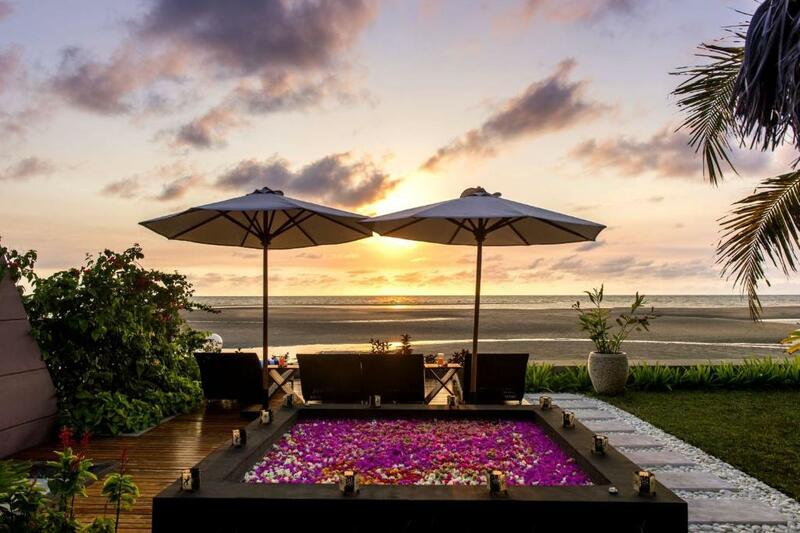 Please inform Luxury Sakina Villa - Beachfront of your expected arrival time in advance. You can use the Special Requests box when booking, or contact the property directly using the contact details in your confirmation. We did not get as was promised on booking; the ad says you will get a villa with 3 bedrooms and a hot tub. My partner and I booked the entire villa, but on arrival the owner locked the other 2 bedrooms, eventhough we paid for the entire villa. The hot tub is nonexistent. It is not heated, it is very cold and during our 6 day stay it was empty for at least 3 days “because of maintenance”. But wait, there’s more! We didn’t have electricity for a total of 3 days, of which 2 were consecutive. Upon trying to contact the owner about this she didn’t reply. Later stating that: she wasn’t playing on her phone all day like us young folks. On our check out day we confronted the owner again about all of the inconveniences. She wouldn’t have any of it and got mad and even blamed us for most of it! We had already been warned beforehand that she was not at all diplomatic if you would confront it, and believe me, that was quite the understatement! All in all, there are much better places to stay on Nosy Be, and at a much better rate! There is absolute no “luxury” about this villa. I would definitely recommend to not stay at this location, search around a little more and you will find absolute paradise on the island, especially in the northern most tip of NosyBe! The only incident with a negative connotation happened on the last day when two wine glasses unfortunately broke. Francois explained that the staff is reliable for all equipment to the owner of the villa and therefore asked to pay 60.000 Ariary for these glasses. This currently corresponds to 7,50 € per glass which is doubtful to be the correct price! !